Local rockers Tripdavon are gearing up to play at Velvet Jones this Saturday, April 28, at Velvet Jones. Word on the street is that they’re teaming up with surprise guest. (Rumors have been suggesting Fuel as the big-name band taking the stage alongside the Tripdavon guys). A product of Isla Vista, Tripdavon successfully evaded the oblivion that many college bands fade into after graduation day to gain exposure around the world. After touring Europe, the group sealed a deal with the people behind iSee, a product that converts an iPod into a hand held video recorder, becoming the sole rock band to have videos packaged along with the device. 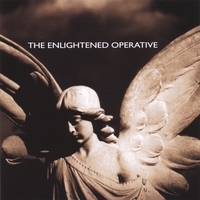 The group also released their second album, The Enlightened Operative, in November 2006.